The week of May 29th students will be allowed to check out 2 books. The week of June 4th students will be allowed to check out 1 book. 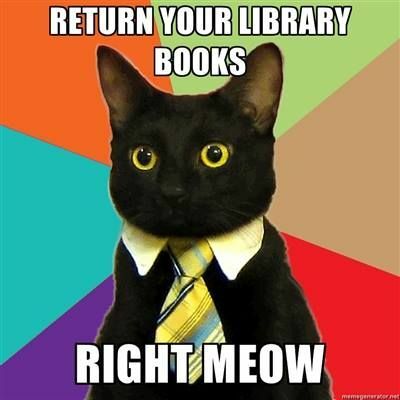 All books are due back (students and staff) on Monday, Jun 11th. Our volunteers, Jenny and I will be working hard to get ALL books back to the library and on our shelves before we all need to be out of the building! If would like to come and put a few of our MANY recently returned books back on the shelf, we WOULD LOVE TO HAVE YOU! Please come anytime and for any amount of time! Every little bit helps! Please let me know if you have questions or concerns! Susan Wells wellss@arps.org or 362-1424.